In continuation of its efforts to take digitization of Pakistani agriculture to the next level, Telenor Pakistan has signed an agreement with Inbox Business Technologies to develop the ‘Connected Agriculture Platform for Punjab’ (CAPP). The project aims to empower the Pakistani farmers by bringing them into the digital and financial mainstream. The ‘Connected Agriculture Platform for Punjab’ (CAPP) aims to connect all stakeholders in the agriculture value-chain including but not limited to agriculture input providers, research institutions, commodity buyers, supply chain services provider, and agriculture extension workers. As part of CAPP program, 500,000 plus eligible farmers will also get 3G/4G-enabled smartphones along with free SIMS and data bundles. To enable farmers to exploit the full potential of this platform, hundreds of facilitation centers and booths will be established across the province for training of thousands of farmers and creating Digital App Gurus across the province. Under the agreement, Telenor and Inbox will jointly develop digital platform, the IT infrastructure, and mechanism to train and facilitate farmers across the province trough facilitation centers and Booths. Telenor Pakistan has played a leading role in agri-digitization through many of its industry-first initiatives. Telenor Pakistan was recently chosen by the Agriculture Department Punjab and the Punjab Information Technology Board (PITB) for their flagship project ‘Digital and Financial Inclusion of Kissan’ which includes smartphones and a digital platform comprising 9 Android Apps for hundreds of thousands of farmers in Punjab. 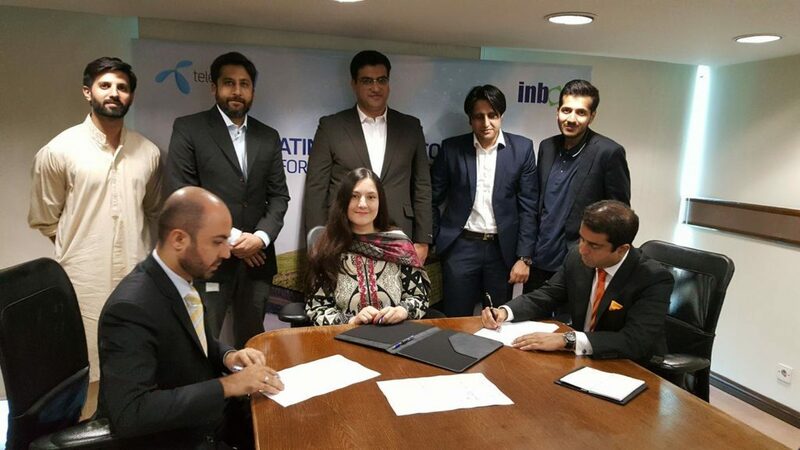 “About 60% of Pakistani households are associated with agriculture and yet there was little being done to bring improvements to this enormous sector and address to its longstanding loopholes,” said Durdana Achakzai, Chief Digital Officer, Telenor Pakistan while commenting on the development. Having the mission of empowering societies and being the primary mover of ICT-powered digital initiatives in the country, we took the lead on digitizing agriculture and started transforming the sector. This partnership with Inbox is in continuation of the same passion and we are positive that CAPP will achieve its goals effectively with the model being replicated in other parts of Pakistan in the near future, she added. Inbox CEO, Mir Nasir remarked "We are extremely excited to partner with Telenor. CAPP is a platform where farmer interaction with peers and partners will create tremendous value. Platforms are able to scale best practices and reforms, enforce market equilibrium and create innovation in unprecedented ways. CAPP will be the cornerstone of a prosperous Punjab and prosperous Pakistan."